Individual medalists include Sammy Kipketer (silver, 2000 4k), Luke Kipkosgei (silver, 2002 4k), Daniel Komen (silver, 1998 4k), and John Yuda (silver, 2002 12k). Additionally, Top-10 finishes have come from Elana Meyer (6th in 1994 and 1995) and Elva Dryer (8th in 2002 4k). Gilbert handled with aplomb a high-class field at this morning’s Rock ‘n’ Roll Half Marathon in San Jose, Calif. He ran 1:01:46 to top Moroccan road ace Ridouane Harroufi, who won several major U.S. races in the spring, by 11 seconds. 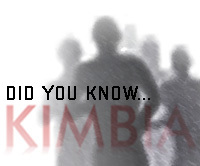 Gilbert was joined in San Jose by several KIMbia teammates. Charles Munyeki continued his recent strong running with a fifth-place finish in 1:02:15. The seemingly ageless James Koskei was eighth in 1:03:02. In the women’s race, Jane Gakunyi was fifth in 1:12:57, and Kathy Butler took seventh in 1:14:52. Gilbert and Munyeki will go the (half) distance again next Sunday at the BAA Half Marathon in Boston. San Jose results are available here. 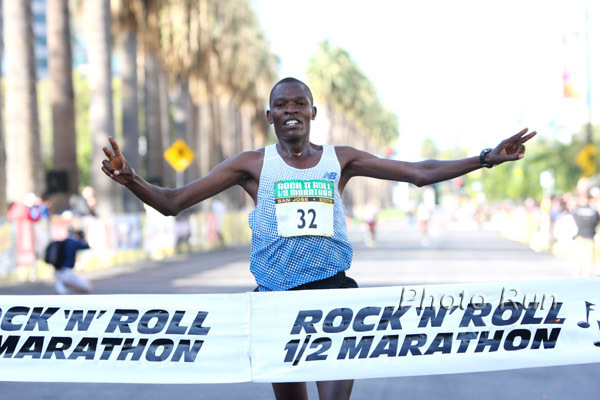 No victories to report, but some solid performances this weekend, most recently James Getanda’s 4th-place finish at this morning’s Rock ‘n’ Roll Marathon in San Diego. James ran 2:11:50. He was part of the lead pack at halfway (1:04:07). Simon Wangai emerged from that pack to win in 2:10:07. Results and splits are available at the race’s site. 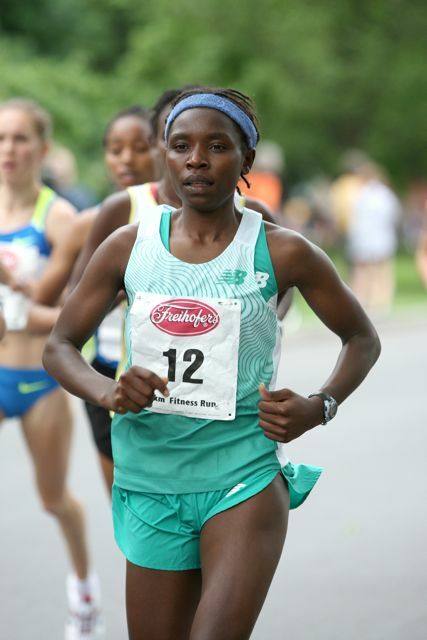 Yesterday, at the Freihofer’s Run for Women in Albany, New York, Jane Gakunyi and Millicent Gathoni doubled back from Monday’s Bolder Boulder 10K, which Millicent won. Jane was 4th in Albany in 16:02, one second and one place ahead of Millicent. Kathy Butler was 10th in 16:38. Australia’s Benita Johnson won her third straight title. Top ten are here. You may have heard that Simon Bairu ran a massive PR and an Olympic “A” standard last night in Belgium. Unfortunately, while it is true that Simon ran 27:30.90, that time is for 24 laps, which is when Simon stopped. Our initial reports are that the 10,000m was a bit chaotic–more than 30 men were in the field–and that both runners and officials misjudged the lap count. We’ll post updates as we receive them. Meanwhile, be sure to join us tomorrow for the launch of our Madison Project video series. We’ll have new video every weekday leading up to Matt Tegenkamp’s and Chris Solinsky’s bid to make the Olympic 5,000m team at the end of the month. Kathy Butler returns to Austin, Texas this Sunday to defend her title at the 3M Half Marathon. Butler won last year’s race in a time of 1:11:12, just off her personal best. Reports from Nederland, Colorado, where Butler has been training with Nicole Aish and Colleen De Reuck, indicate that training has been going well. To challenge Butler this weekend will be Magdalene Mukunzi, a Kenyan who trains down the canyon from Nederland, in Boulder. Tom Nyariki and Edna Kiplagat were both victorious at the BAA Half-Marathon. 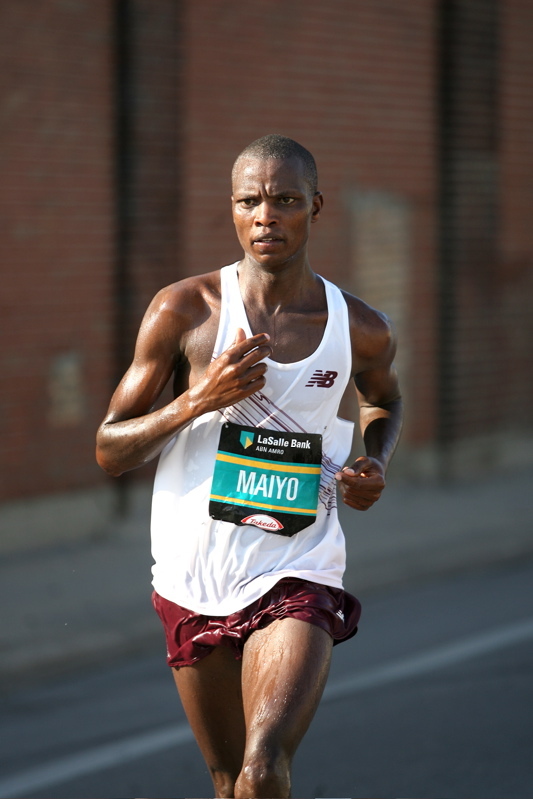 Nyariki’s time of 1:02:19 smashed the old course record by 38 seconds. Tom just held of Samuel Ndereba by one second. Edna cruised to a convincing 30-second win over Caroline Chepkorir. Richard Kiplagat struggled with blisters, finishing in 6th place in 1:05:13. The results in Chicago were not as good. Ben Maiyo finished 5th and Christopher Cheboiboch 6th; James Koskei and Evans Rutto did not finish. Kathy Butler struggled in the heat, finishing in 2:48. It was a brutal day; race officials actually cut the race off short for people further back in the pack. Full Chicago coverage can be found at chasingKIMBIA. Results will be posted here. In Minneapolis, Jason Hartmann finished 13th at the U.S. 10-Mile Championships in 50:15. Results can be found here. Tomorrow we’re back in Boston for the Tufts 10K with Elva Dryer and Nicole Aish.